The Extended Warranty offers cost control while giving you full service from the start. If there is a problem, you are insured against extra service costs. For a fraction of the purchase price you can rest easy for years with the security afforded by manufacturer service. With highly complex instruments or systems, it’s not always possible to avoid problems. As the manufacturer we are thoroughly familiar with the special features of our products, and know where to look if there is a problem. Our R&S®Extended Warranty keeps the overall costs for your product transparent and consistent at all times. 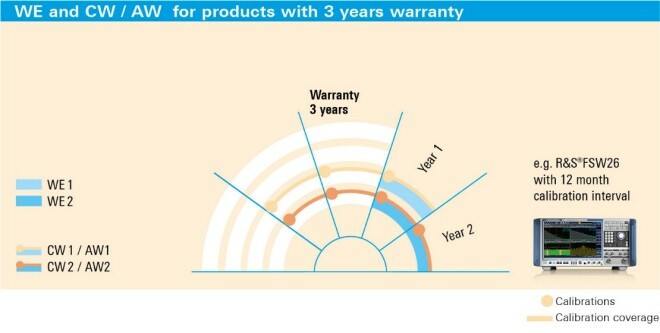 For example, a four-year warranty can often be cheaper than a single repair. Lasting functionality and availability are fundamental to profitable operations. 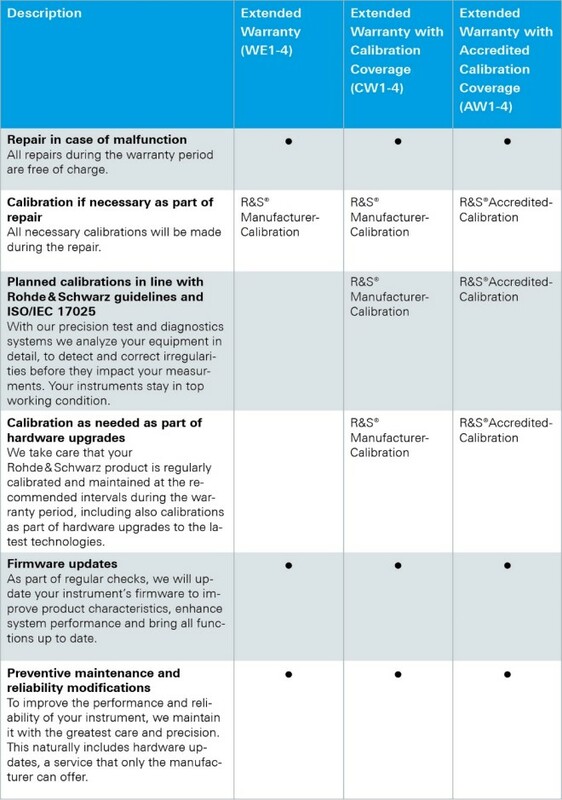 The regular maintenance and calibration of your Rohde & Schwarz instruments ensure dependable workflows that lose none of their precision even after many years. A four-year extended warranty with calibration coverage directly from the manufacturer ensures that your instruments are regularly checked and adjusted. You can depend on the highest precision and on everything going according to plan, now and in the future. Operation of your instruments can result in costs you did not originally factor in. The R&S®Extended Warranty makes it easy for you to keep an eye on your operating costs. Our knowledgeable representatives will help you find the right services for your business requirements. You can quickly find the best way to make sure your instruments are always working to their full potential, so you can focus on your core business. 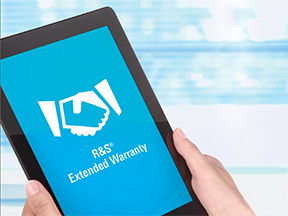 Added value: The R&S®Extended Warranty makes it easy for you to budget, by giving you absolute price stability for the term of the agreement. Our distribution partners can show you all of our service options.